Crib size: 47" x 58"
Lap/Twin size: 58" x 69"
Queen size: 80" x 102"
King size: 113" x 113"
This is an easy simple quilt to make. The blocks are 9" x 9" finished. 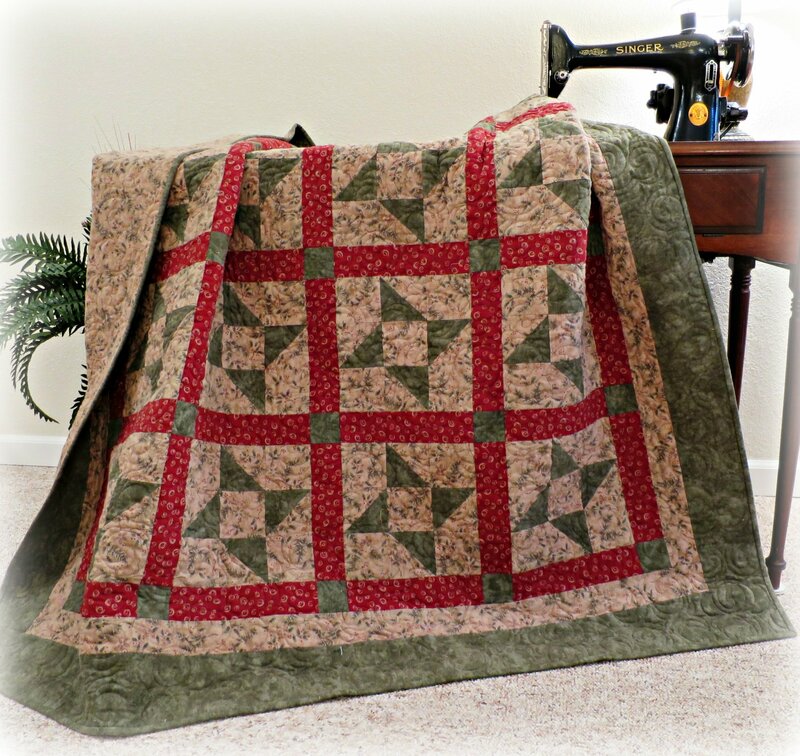 It makes a wonderful cuddly quilt in flannels or any other fabric. Instructions are easy to read with lots of illustrations.